Marian Murphy’s art exhibition opens on August 4th at Lough Boora Discovery Park Visitor Centre. It is the ideal place for this collection of paintings as all of the paintings are inspired by the bogs of Laois, Offaly, Galway, Mayo and West Cork. 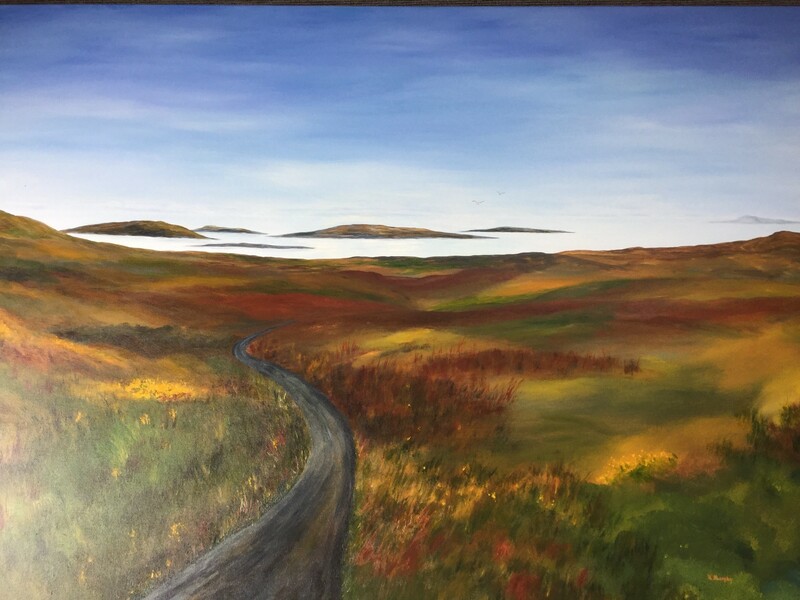 Originally from Mountrath, Co Laois, Marian (nee Flanagan) depicts the wild beauty of the untouched peatland and of the areas where turf is cut and saved. Happily, the artist also depicts the visible effects of preservation, conservation and rehabilitation of bogs, and the hope this poses for their future and the important part they play in our national tradition and culture. Marian includes some paintings of the more delicate aspects of bog life too- its flora particularly, including the wonderful bog cotton that blows in the wind and the sphagnum mosses which are known as ‘the bog builders’. Marian now lives in County Cork. She is a member of Uilinn, the West Cork Art Centre, and has recently exhibited there along with many other Cork venues. She is also an active member of Bandon Art Group. For this, her first solo exhibition, she has come back to her roots! The exhibition opening is at 7pm on Friday August 4th at Lough Boora Visitor Centre and everyone is welcome to come along to view this interesting exhibition and to have the opportunity to meet the artist. The exhibition continues until August 18th and the Lough Boora Visitor Centre is open 10-6 daily.